London, March 06, 2018 – The Everstone Group backed Servion Global Solutions has acquired Innoveo AG (formerly known as Pactera Switzerland AG), an InsurTech Cloud software provider, headquartered in Zürich, Switzerland. Founded in 2007, Innoveo AG has offices in Zürich, Hong Kong and Budapest and services some of the world's largest insurance companies with its product Innoveo Skye®. This is a multifaceted, cloud-based technology suite, which enables digitalization of insurance processes and accelerates insurance product launch cycles; up to ten times faster as compared to other solutions. This enables businesses to enhance their Customer Experience significantly. The powerful Innoveo Skye® Business Canvas, a tool designed to be used by non-technical business users, allows insurance companies to streamline new product development and maintenance activities. Furthermore, the Innoveo Skye® solution expands the product delivery options by offering omni-channel digital capabilities, as well as improved agent and consumer user experience. Innoveo is headquartered in Zurich, Switzerland with subsidiaries in Budapest and Hong Kong and additional personnel in Dubai, Valencia, Kuala Lumpur and Casablanca. Innoveo Skye® is offered as a cloud service and has been implemented for major insurance companies as well as InsurTech start-ups in Europe, Asia, Middle East, Africa, Central and North America. It supports a wide array of coverage ranging from General Insurance to Life, Health and Accident, etc. for commercial and private line customers. Servion is an Everstone Group-backed company, specializes in Customer Experience Management (CEM) solutions that help organizations design and deliver superior experience for their customers. With expertise spread across consulting, implementing and managing CEM solutions and technologies, Servion enhances the effectiveness and efficiency of customer interactions for over 600 organizations across more than 60 countries. On an average, Servion’s solutions handle over 10 billion multi-channel interactions every year across multiple channels and industry verticals. It helps transform the way people connect with enterprises. The Everstone Group is a premier India and Southeast Asia business group and multi asset investment firm with assets under management of approximately US $4 billion. Everstone has over 250 people working across six offices-Singapore, Mumbai, Delhi, Bengaluru, Mauritius and London. 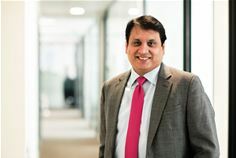 The firm’s strong presence and network in India and Southeast Asia allows its existing and new portfolio businesses to build operations in the region and beyond. Everstone has been awarded ‘Mid-Market Firm of the Year in Asia’ for 2017 by Private Equity International.